Ready to collect and to know how to take advantage of what is innovative and available on the electricity market, we are able to provide – from the design stage –many innovative and advantageous solutions to the customers, related home automation. 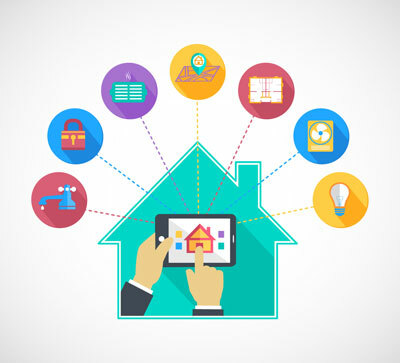 With home automation you can go from the Traditional to the “smart” plant, by using the electronic solutions that you can install inside the junction boxes, which is delivered via a single and very thin cable which transmits “digital” data: the BUS cable! This enables the integrated management of technological systems, namely lighting, air conditioning, security systems, engine shutters, audio system, water control, gas and energy, in order to improve your quality of life and safety in your home.